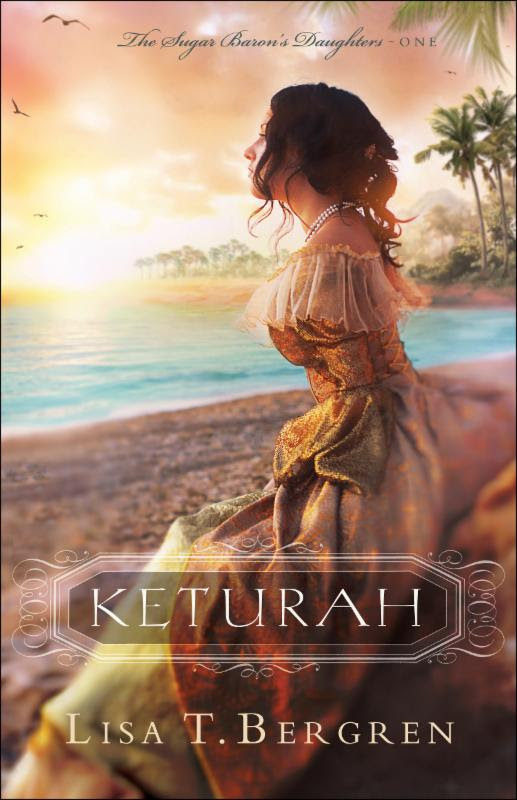 “Keturah” by Lisa T. Bergren ~ Book Review & Giveaway! I love the cover of this book – it is definitely one that draws you in. The story setting was quite a unique one, which I enjoyed! It was adventurous, three sisters deciding to set out on their own to an unknown place. I admired how the sisters banded together; their bond was very sweet. This book focused primarily on Keturah – the title of the book indeed. :) We learn from the beginning that her first marriage was not a good one. That was sad, and all too true for many. I liked the message that God does desire for everyone to be loved well, as He cherishes us. Because of her previous abuse, her actions were very understandable. Her determinedness to never be ruled by a man made sense due to her background pain. I hurt for her when her painful memories resurfaced. However, I guess personally, I was a little concerned with how ‘glorified’ it was to put yourself above men – to the point where she reveled in donning men’s clothing at one point. 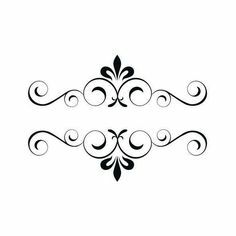 And granted, the act was reasonable in itself for what was needing to be done at that point, but I think during that time period especially, it would have felt very odd and not been so…glorified. I know most people just adore the ‘strong female lead who doesn’t need any man’, but I guess they’re just not my favourite. Yes, woman are capable – not denying that at all – but I don’t think that means we need to constantly be rising above the men. This is not to say I didn’t have compassion on Keturah’s suffering and what made her feel this way – I did get that. I was just hoping for some more healing portrayed. Learning that yes, we are whole in Jesus (hallelujah! ), but also that God created men and women alike, and we don’t have to be so independent. God created us to be wholly dependent on Him and to need each other, as Paul tells us constantly in God’s word. The setting of this book, Nevis Island, was very well portrayed. Beauty and danger wrapped into one. First book in Shadows Over England. The cover alone makes this book a worthy addition to any bookshelf. But add in the amazing story, and you know “A Name unknown” is a definite keeper! The story pulled me in immediately, and I was drawn right into the world of these characters. There were many unique twists, and mysteries, and the history was woven beautifully into the story. But one of the best elements of this book was the heart of it – the Faith aspect. I was very pleased with it, and there were many places I marked down. It was gentle, and beautiful, and meaningful. 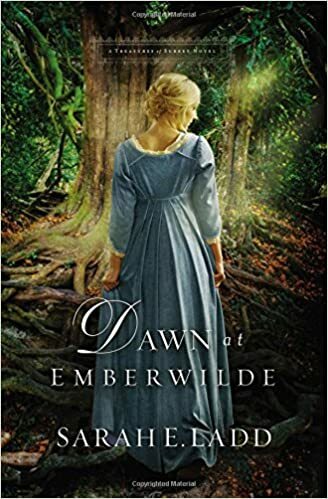 To me, a Christian fiction’s main theme should be revolved around a godly message – one that is filled with Christ, and I was ever so pleased to discover that in this novel. Personally, when I pick up a CF title, I don’t want it to just be ‘clean’, I want it to be filling. And “A Name Unknown” was that. 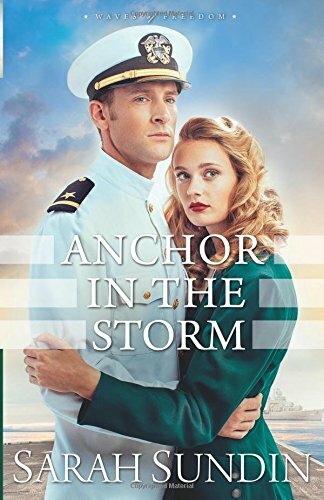 I loved the characters – Rosemary and Peter. Oh, Peter was just darling! I liked him right away, and Rosemary too. They were very different characters to be sure, but blended so well and balanced each other out. Rosemary a thief, and Peter a secret novelist. They both have so much richness to them! As a writer myself, I loved Peter and seeing his writing mind take over; how he’d get lost when thinking up a new idea – very relatable. :) And his overall love of books and letters! Be still my heart. ;) He was just splendid. I just really loved the characters – how real they were, and how they didn’t always do what you expected. Life doesn’t always go as expected, and that was portrayed so well in this book. Every page begged to be turned again, not left unread. If only I had an ample amount of time to read from beginning to end! But still, I savoured this book for the time it took me, thoroughly enjoying every minute of it. And set right before WWI broke out – a very fascinating time to read a novel in. So yes, I can definitely recommend this one! 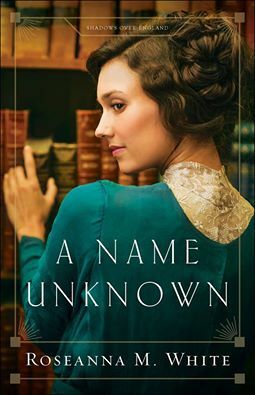 Fellow booklovers, you will fall in love with “A Name Unknown”! I’m not really sure what happened…I am almost positive I had this post scheduled, but it’s no where to be found…but anyway, here is my review! Another super sweet fairy-tale-feeling book from Melanie Dickerson! The plot was so intriguing, and exciting, and I became engaged immediately. The hints of Beauty and the Beast, and The Princess and the Pea, were absolutely delightful. Having ten noble ladies come to the Margrave’s home as “possible brides” was entertaining, if not unconventional. ^.^ Again, I say: Delightful. 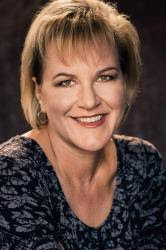 As usual for Mrs.Dickerson’s books, each character was written extremely well, and I clicked right away with Avelina (what a pretty name too!). And then I found out she likes to write stories – yep, I loved her even more then! Avelina did surprise me in some ways, but in good ways. And Lady Magdalen was seriously one of the most kindest and sweetest friend-characters I have ever read about! Such genuine beauty, and I don’t just mean in appearance. She made me smile so often by her gentleness and kind heart. There was only one scene that leaned towards the more graphic side, but it wasn’t really horrible as some books are. And then there were two other things that gave me a bit of concern – one of those was that Avelina did what she wanted, even when instructed to do otherwise. It wasn’t shown in an extremely blatant way, but it was shown in more of an accepting way at the same time which I wasn’t too sure about. For example, towards the end, Lord Thornbeck told her to stay put several times because he didn’t want her to get hurt, and while I understand that she wanted to be with him, I don’t really agree that he always gave in – “He knew her well enough to know he could not stop her”. It just seemed…disobedient at times. The other thing was about a character being mentioned that was sleeping with a servant – it was only hinted at as ‘wrong’ one or two times, and not in the way I was expecting – that is, it wasn’t necessarily shown as morally wrong. But other than that, I did really enjoy “The Beautiful Pretender”. A very sweet, endearing story, one that is full of exciting and well-crafted plot lines. I received a complimentary copy from the publishers/Litfuse in exchange for my honest review which I have given.